A few weeks ago, I traveled down to Connecticut to celebrate my mother’s retirement with a spa day at the Norwich Inn. We had a wonderful time — relaxing our rear ends and gabbing our jaws off for eight splendid hours. Of course I had a wonderful time with my mom, but I also got another treat — being introduced to a designer of whom I’d never heard when I picked up a copy of the local lifestyle magazine, Serendipity. It is absolutely unbelievable to me that I was not aware of Brittany before, because she’s just up my eye-candy alley! 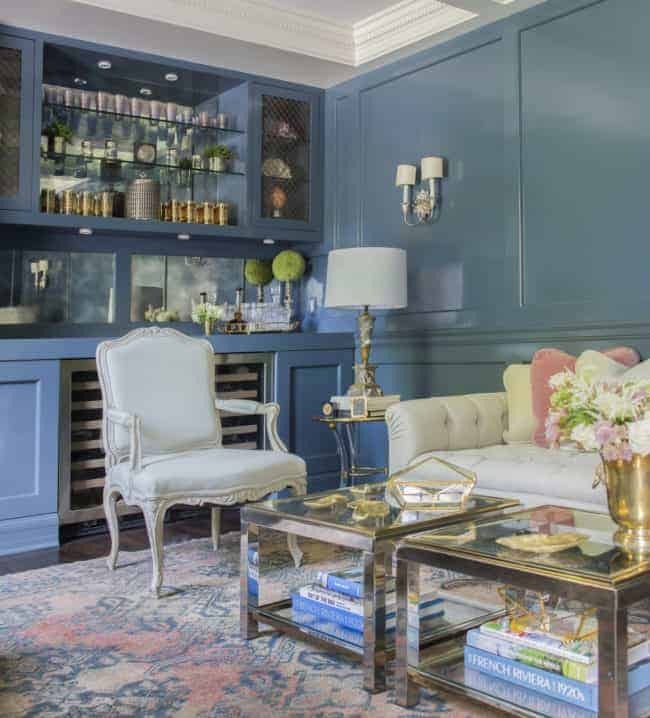 Apparently her momentum is growing, because her work has been featured in Veranda, Elle Decor, Luxe, and Quintessence, all within the last 12 months. 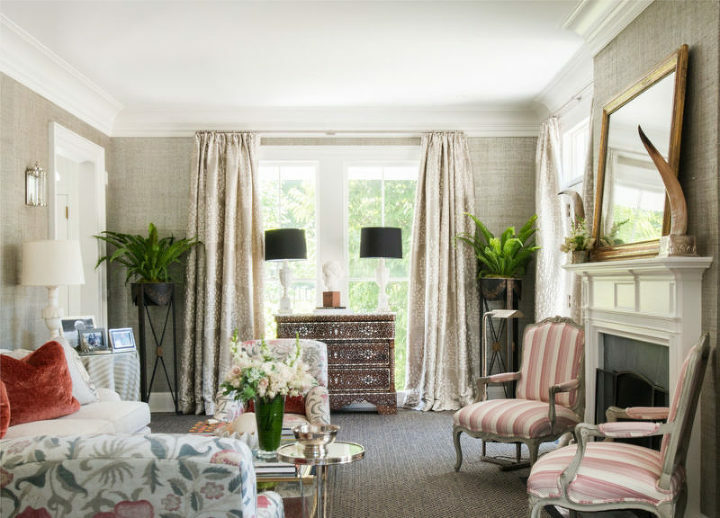 She began designing when several acquaintances admired her own home and then asked her to help them design theirs. Word spread. 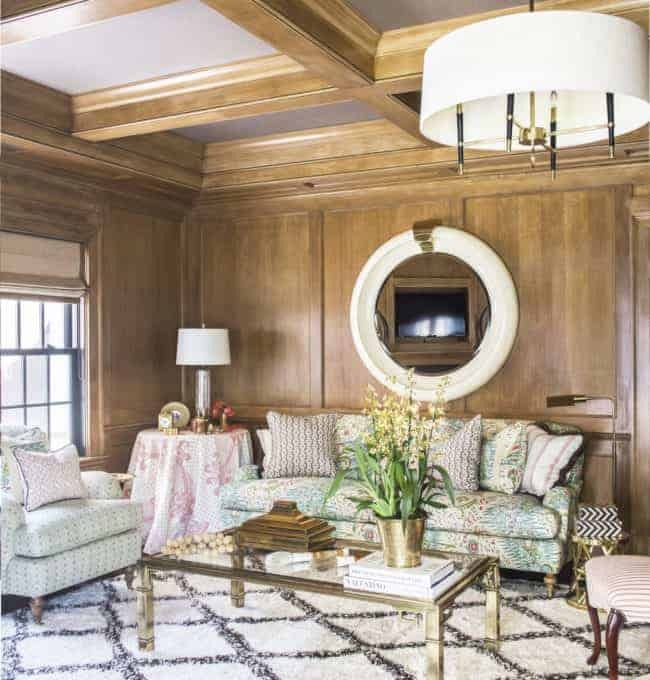 It certainly didn’t hurt that million-dollar-decorator Alessandra Branca is a close family friend who encouraged Brittany during her student days at Tulane in that mecca of Southern-gothic beauty, New Orleans. That being said, her style is nothing like Alessandra’s, so I think she’s a true talent all by her lonesome … as you will see. 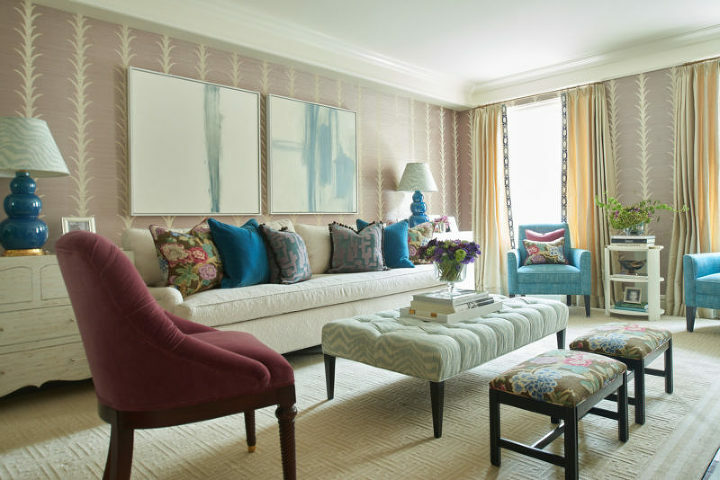 Going through her portfolio is a lesson in beautiful, happy, layered interiors. But I have 5 takeaways for you. Enjoy! 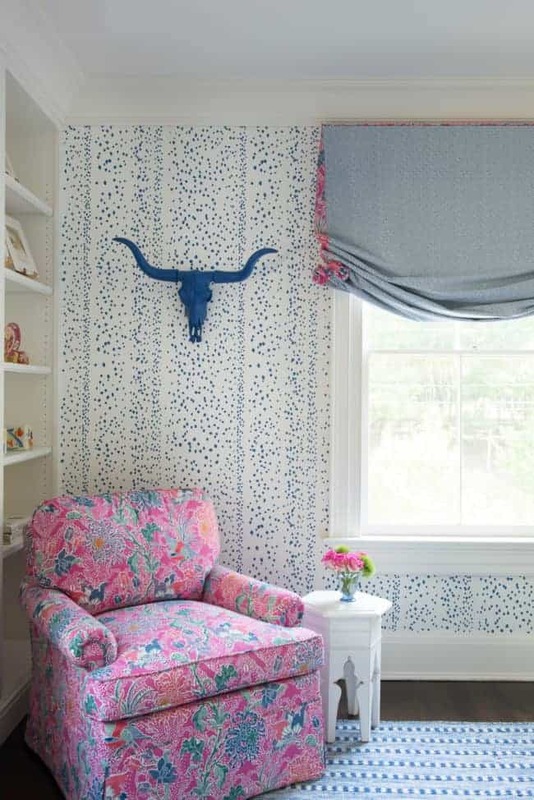 It’s no surprise to readers that I’m a pattern girl. Some people find too much pattern to be stressful, but I just think that they are using the wrong patterns together. It’s all about scale and having a place for the eye to rest. 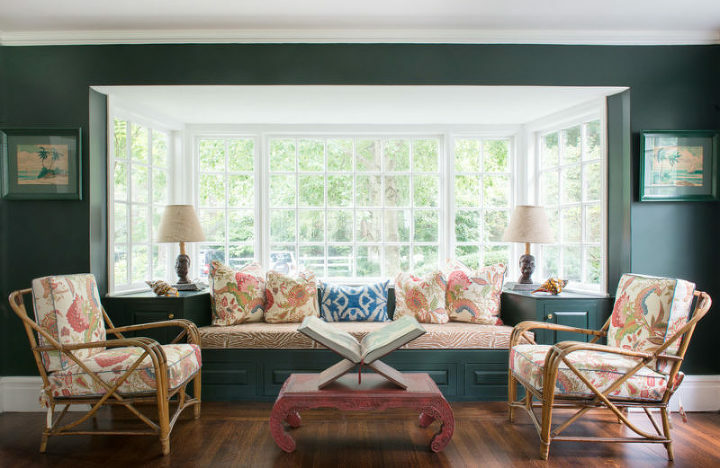 LOVE this green drapery/pillow fabric. 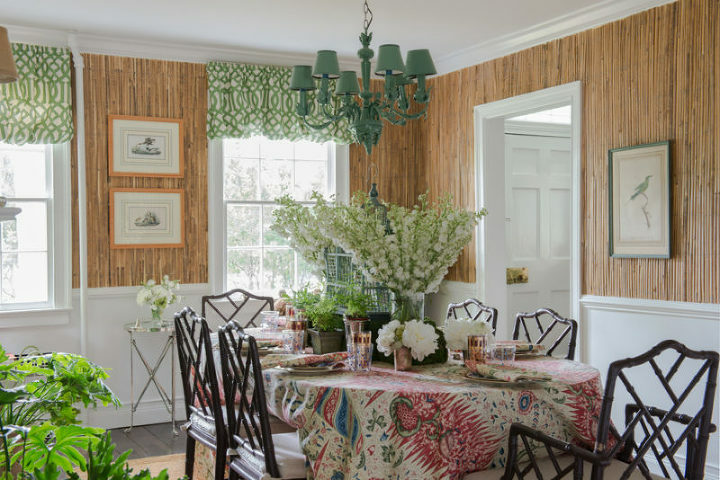 Schuamacher’s Acanthus Stripe in Haze wallpaper. Classic. 2. You’re Never Too Young for a Formal Dining Room! I love our formal dining room. In my opinion, there ain’t nothing wrong with being surrounded by “pretty” and getting to act like a grown-up for the occasional meal … especially when you are one! I think the tablecloth is a Brunschwig pattern, but I didn’t have time to find it! Pretty sure this is Stark’s Antelope carpet. A designer favorite. 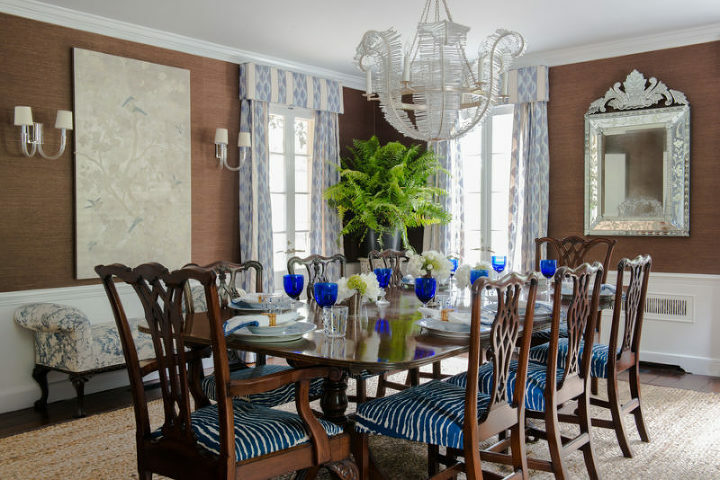 A jute rug dresses down this formal dining room, complete with heirloom brown furniture. A Visual Comfort chandelier glows against the chocolate grasscloth! Are your parents begging you to take their formal dining room set off their hands? 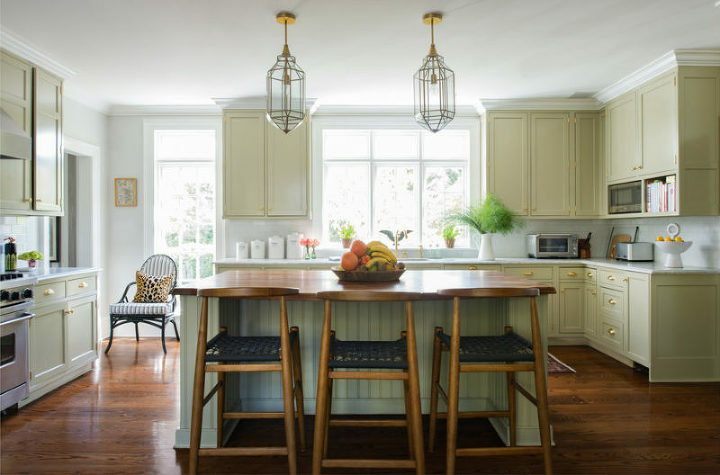 Don’t refuse it until you’ve read 4 Fresh Ways to Use Your Parents’ Formal Dining Set. Things 1 & 2 (aka, my boys) are constantly making dark and cozy forts out of pillows, blankets, and various pieces of our furniture. I don’t think we outgrow that need for dark & close, cuddled spaces as grown-ups. We just bring out the Scotch instead of the milk and cookies. Repeat offender!! (Not that I mind!) 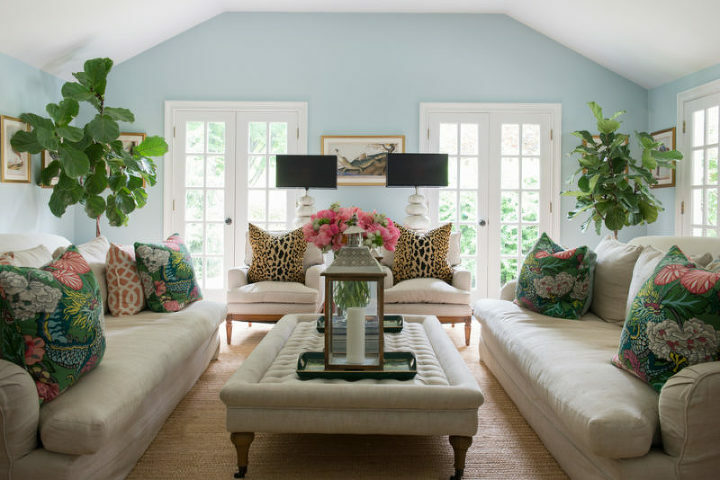 Same pattern on the sofa as on the dining room tablecloth earlier and the same coffee table as the blue room above. Ha! 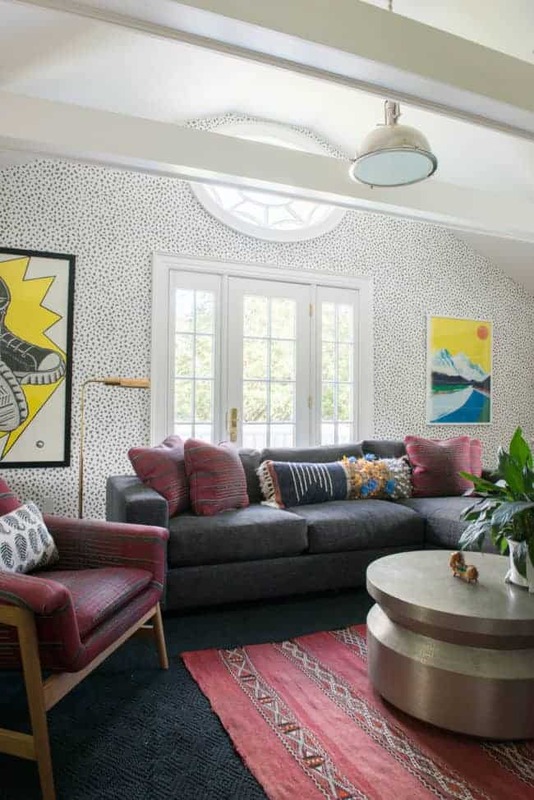 Ben Pentreath like to mix Beni Ourain rugs and florals, too. Very British, indeed! And here, at last, is the bar…. 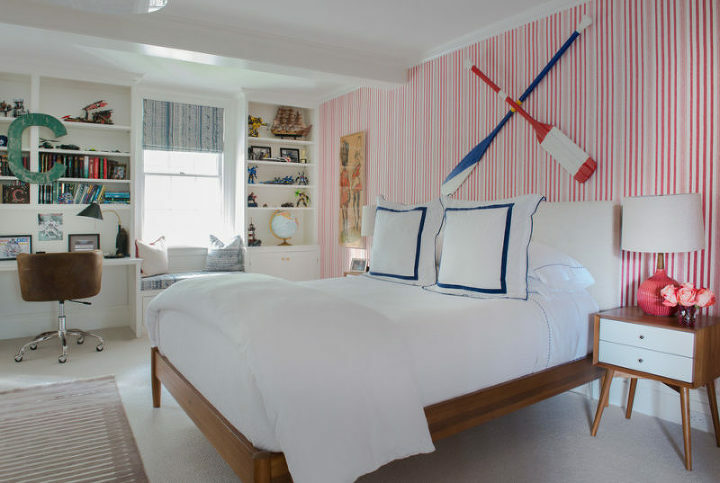 It’s a pretty well-known piece of decorating advice — if you’re pattern-commitment-phobic, try it in a small space where you don’t spend a ton of time. 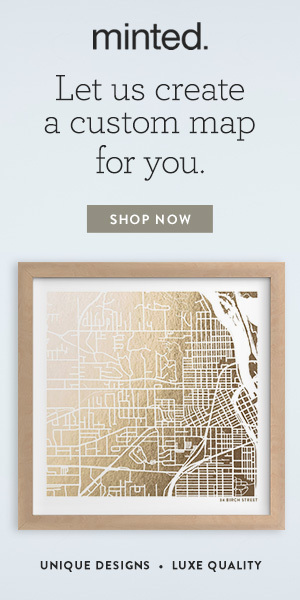 I LOVE this Schumacher grasscloth, but I don’t know that I’d be brave enough to use it in a bathroom. I haven’t found a fan that I trust that much. 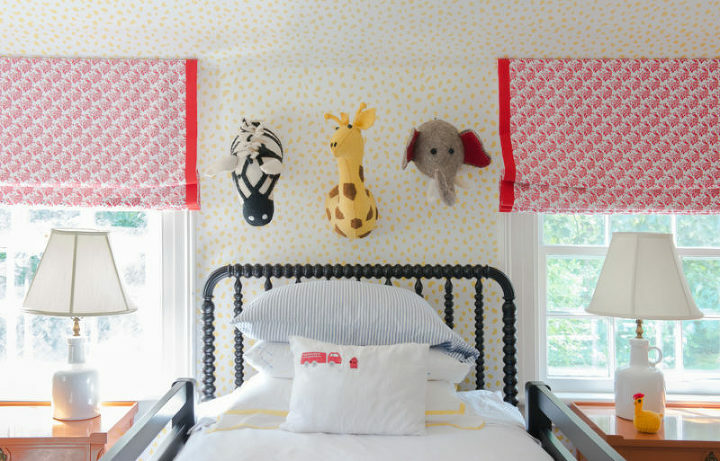 Thibaut also has a stunning grasscloth that is similar, and even comes in YELLOW! Any takers???? 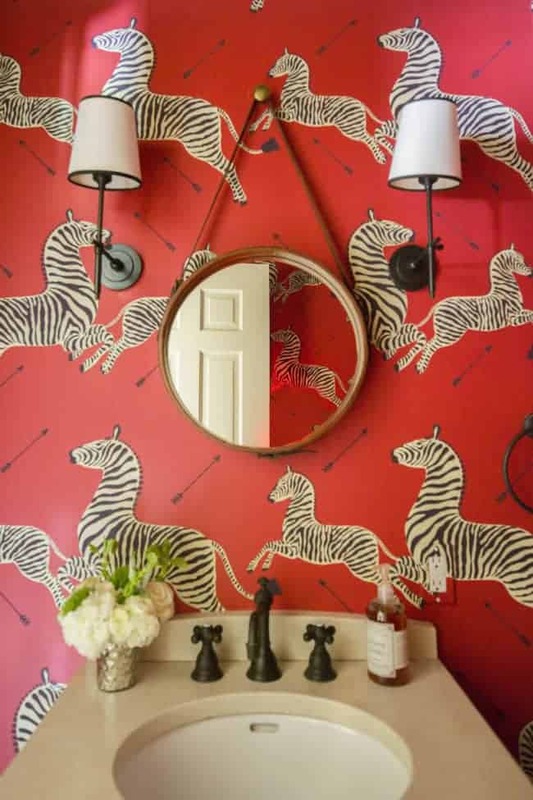 Cole & Sons wallpaper, but in a discontinued colorway. Love the pale blue version, though. 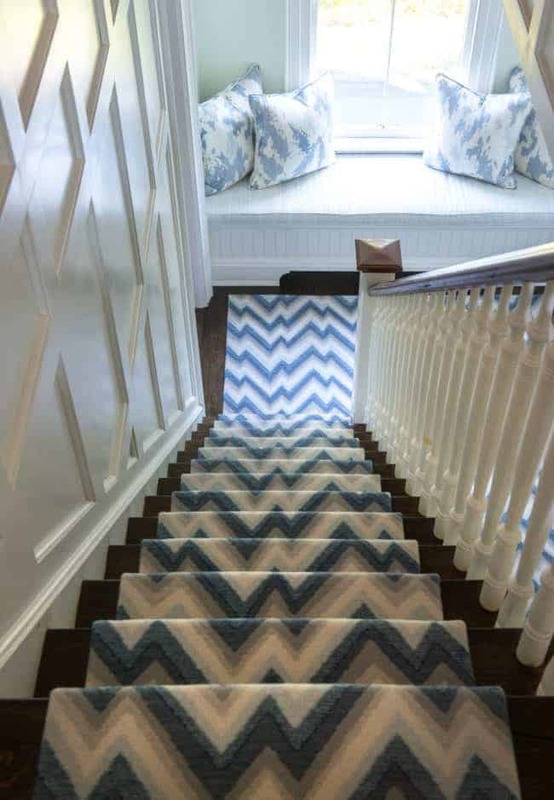 Stop-me-in-my-tracks stair runner. One of my favorite ways to use broadloom carpet. 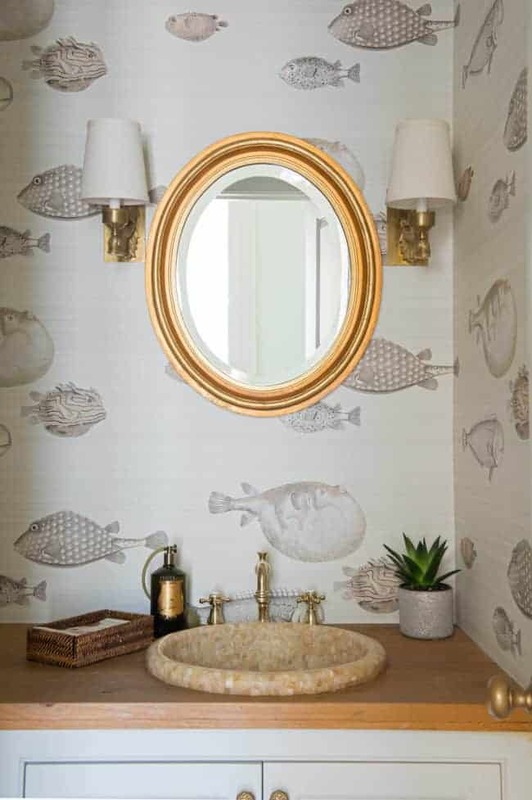 Everybody knows this Scalamandre wallpaper, but I never tire of it. Fresh classic. I’m craving the opportunity to do a sunny, yellow room! 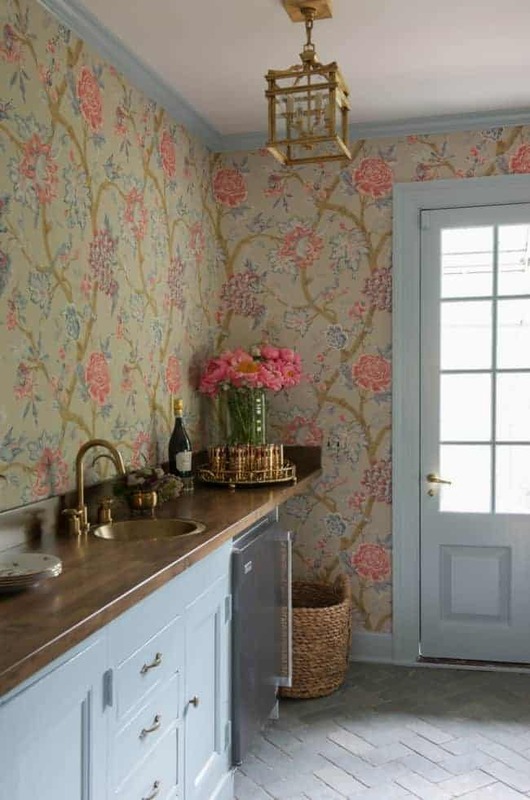 Laundry room loveliness and pale blue millwork. Sigh. 5. You’re Only a Kid Once…. So celebrate it! 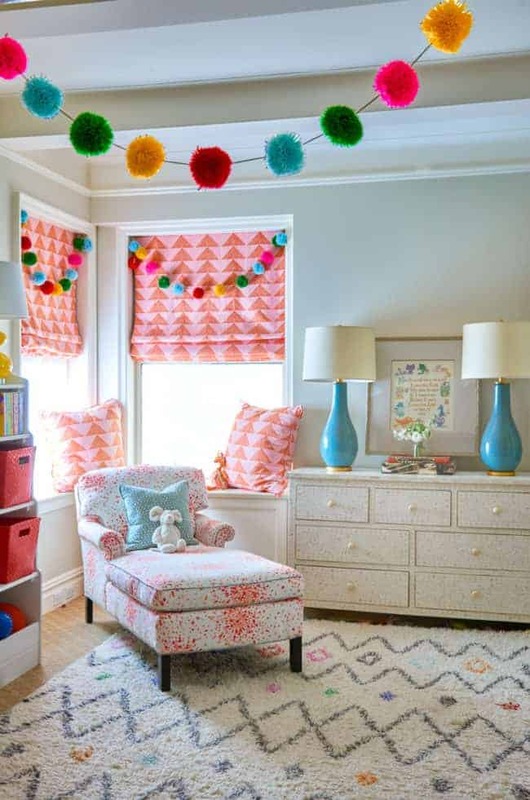 Brittany’s kids’ rooms pull out all of the primary-color stops. Talk about pattern on pattern in pink, red, yellow, turquoise, and blue. All photos from Brittany Bromley’s website. I hope my mom doesn’t feel slighted that I got a little sidetracked during our spa day! Really, I only took a picture of the magazine article so I would remember to share Brittany’s talent with all of you. Mom — to say you are an example to me in so many ways sounds trite. And of course I never talk about anything very personal on this blog. 😉 No politics, religion, parenting, fashion, or cooking advice, right? That’s what I promised. So, suffice it to say, I love you! Happy retirement! Come visit us in freezing New Hampshire! The fabric on the tablecloth you weren’t sure of is Quadrille “Les Indiennes” and it is fab! 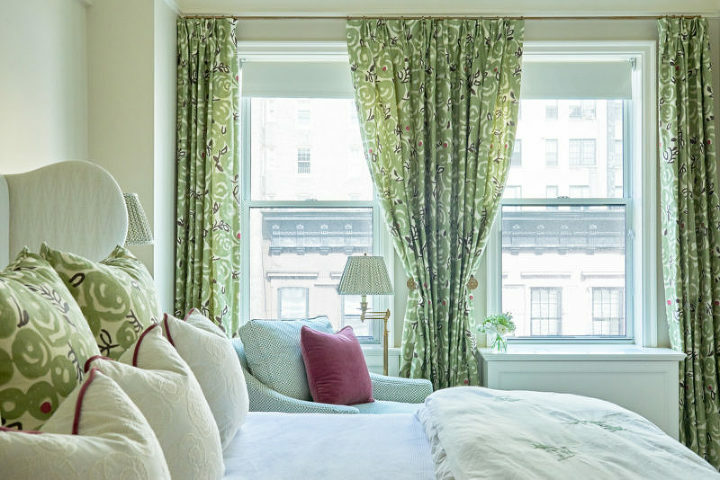 The Brunschwig fabric I think you were thinking of is on the roman shades in the blue study….and great minds thinking alike, I have shown them both to clients but never had a chance to use them…fingers crossed, someone will someday soon!